The lovely people at BigJigs sent me a set of Duck Skittles so I could try them out and tell you all about them. First of all they come in a handy box so you can keep them nice and tidy. They are made of a lovely wood and painted really nice colours. The balls are nice wood too and painted bright colours. The object of the game is to see how many skittles you can knock down. You can play this game by yourself or with friends, it's fun either way. Duck Skittles are available from Big Jigs and cost £12.99. There are other designs you can choose from too such as frogs and princesses. Lovely! 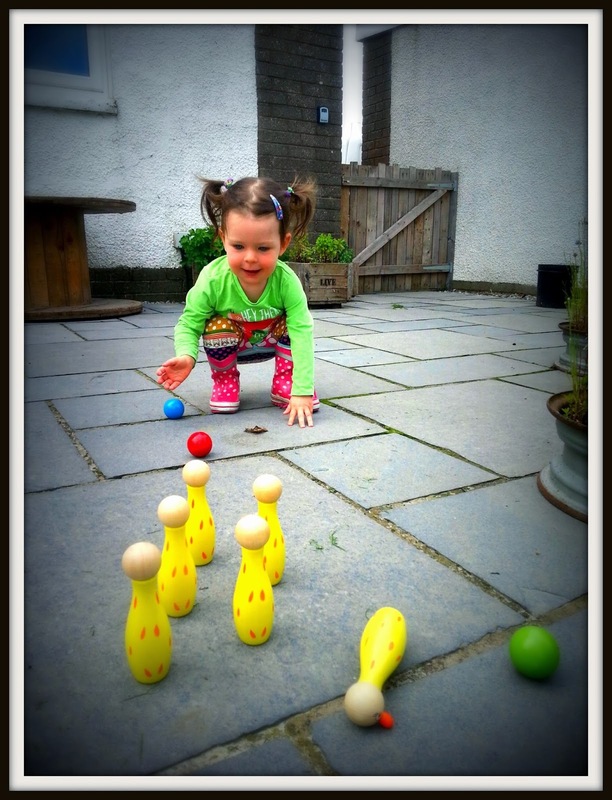 This is a brilliant game and one which can be adapted to suit whatever age or theme you want. We chose bears 'cos they are super cute, we have lots of bears and who doesn't like going bear hunting? 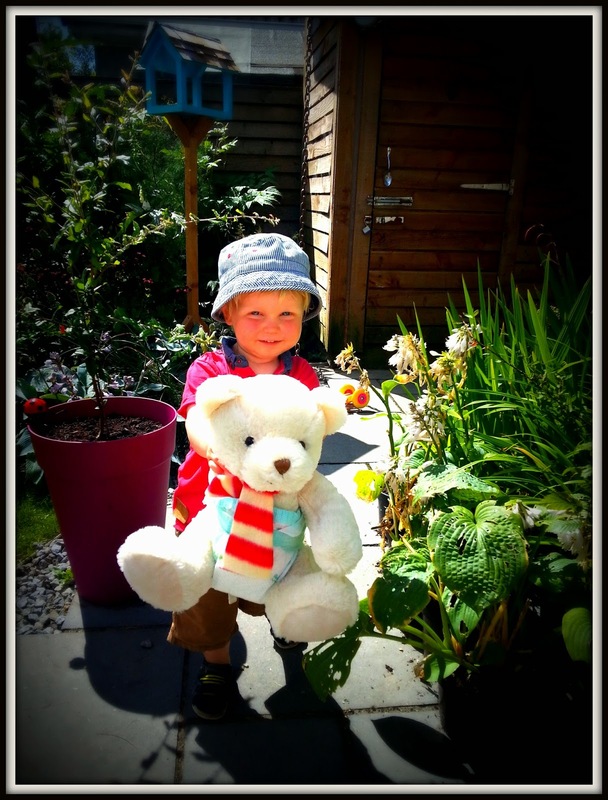 All you need is someone to hide a selection of bears around your garden. 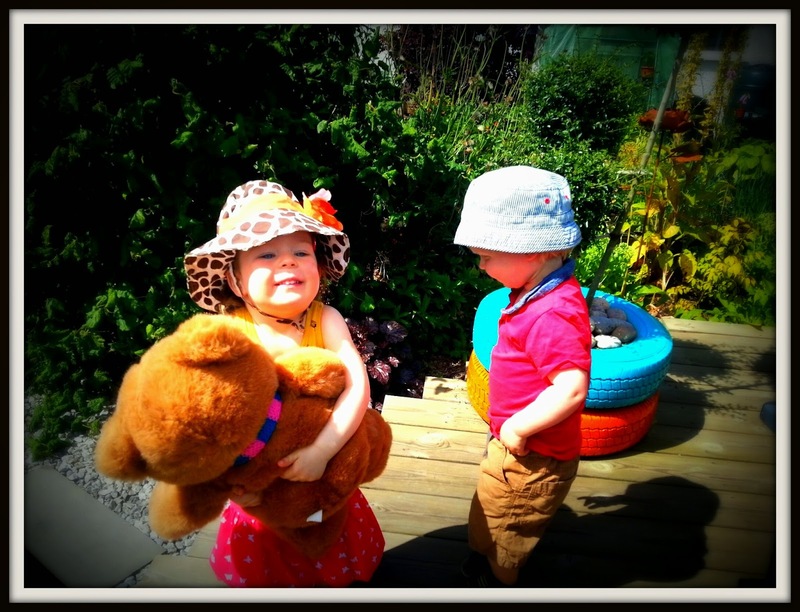 My BFF Euan was brilliant at finding the bears! Like Duck Skittles, you can play yourself and just see if you can find them all or invite a friend along to see who can find the most. I played with my BFF Euan and let him win 'cos I am nice like that ;) For older children you can adapt the bear hunt into a Scavenger Hunt. Simply ask an adult to write a list of item to find in the garden (e.g. a seed head, a strawberry, a leaf, a bug etc.) The winner finds the most or is the quickest. 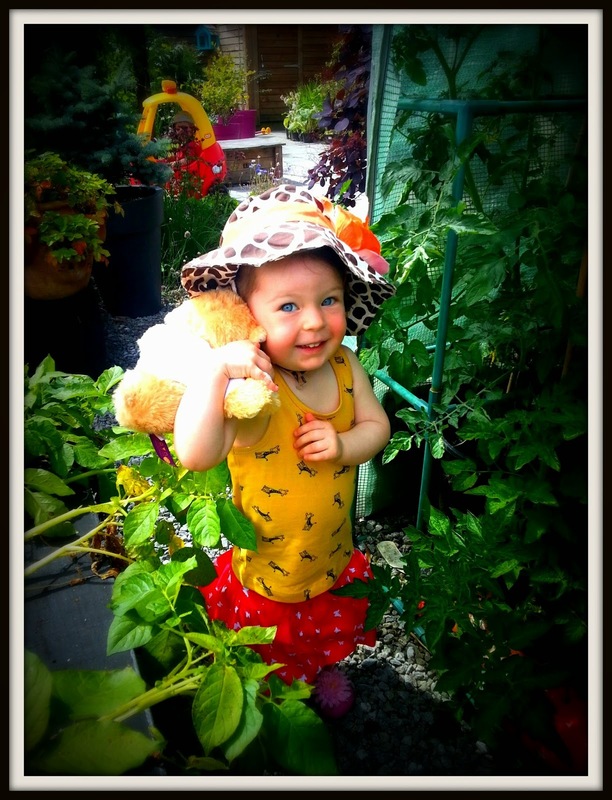 Look what I found growing in the greenhouse! 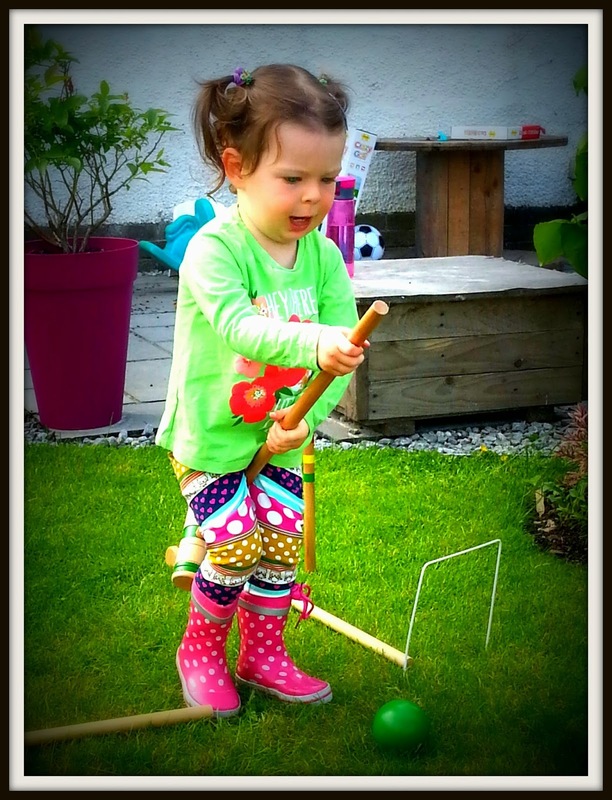 Another great quality game from BigJigs is this garden croquet set. Again it's all made from lovely wood and it comes in a handy carry case so you can easily take it on holiday, over to a friend's house or to the park. You get four croquet mallets and matching balls, pegs and lots of hoops. 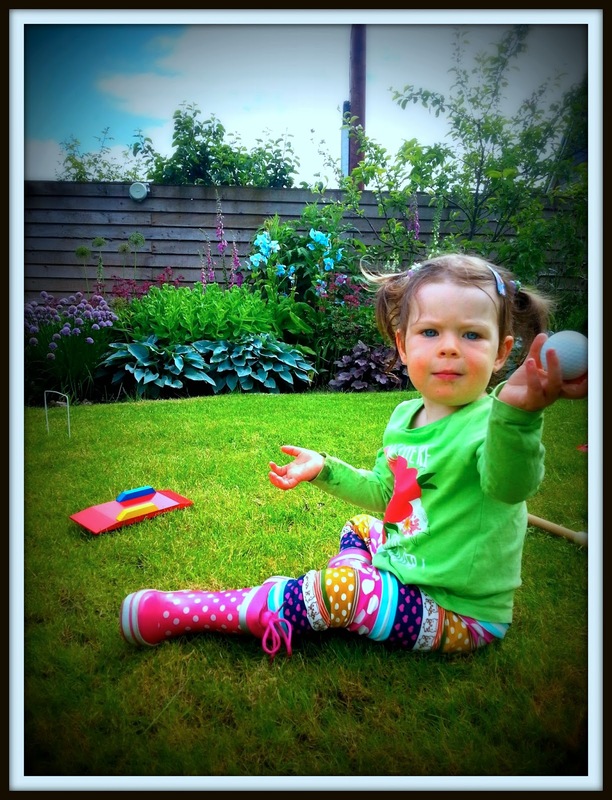 If you've never played croquet before you don't know what you are missing! 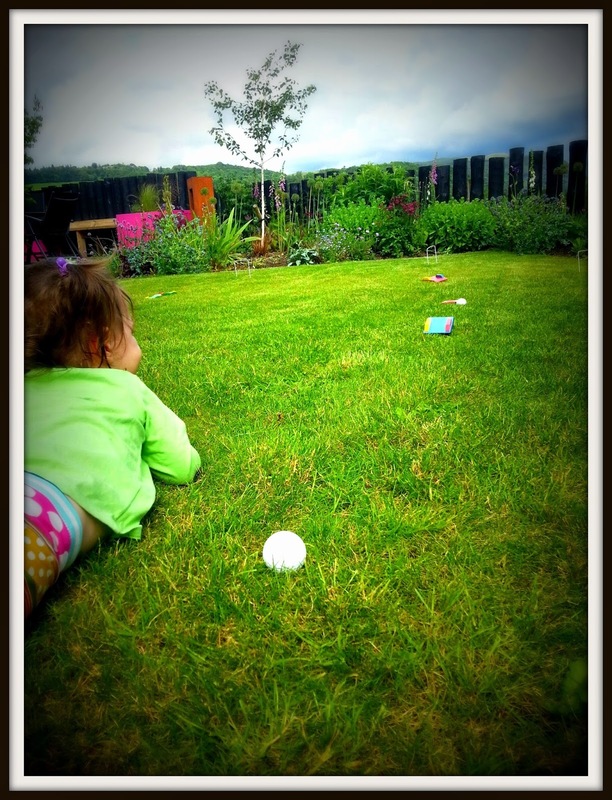 You set up the little hoops (I call them tunnels) all round your lawn and the object of the game is to hit your ball through each hoop in turn using your mallet. The winner uses the least amount of shots to get around the course. Get practicing those "Dambusters" and "Deathrolls" ;) Garden Croquet is available from Big Jigs and costs £20.99.Oh and if you get fed up with croquet the mallets make awesome hobby horses! The mallets make great hobby horses too! I really love to paint but sometimes it can make a real mess (part of the fun if you ask me!) A perfect solution to this dilemma is to take the painting outdoors and swap the paint for a bucket of water. Euan and I dabbling in some street art! 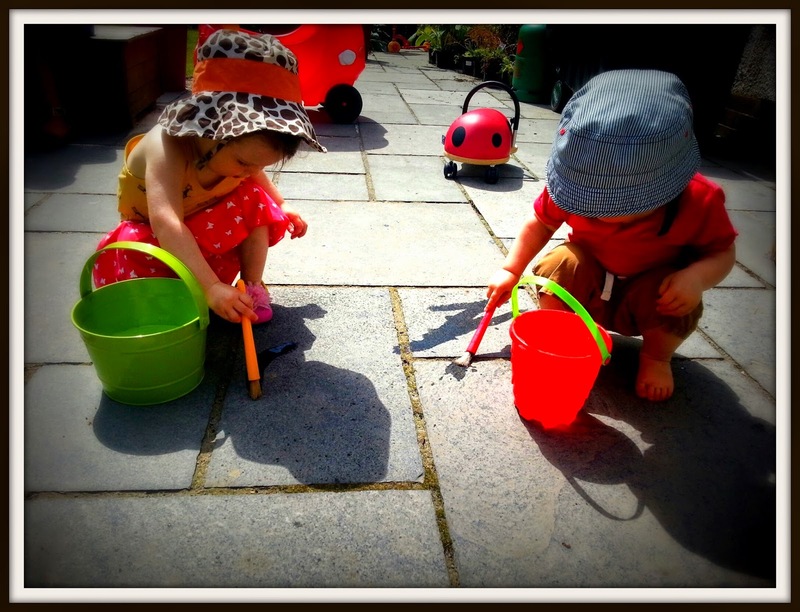 All you need is a bucket, brush and some paving slabs to paint on. It is loads of fun (playing with water always is! ), the sun quickly dries up your painting so you can keep going all day and you never get in a row for making a mess. Perfect! 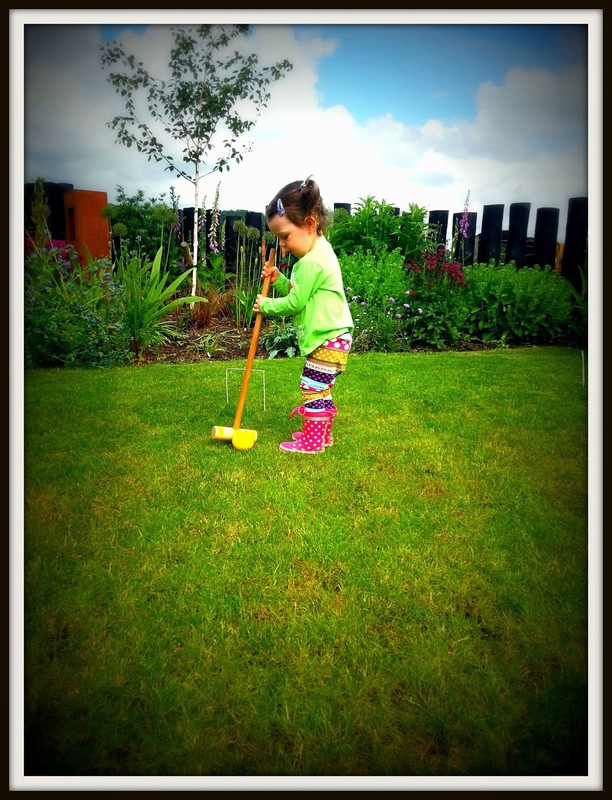 You've got to love a game of crazy golf, an essential part of any childhood summer holidays. If you aren't heading to the seaside this summer, don't worry, you needn't miss out. You can play crazy golf in your very own back garden thanks to the clever people at BigJigs. It may not have a windmill as a central feature but it is made of great quality wood and contains all you need for a perfect round of golf. Anyone for tennis, er I mean golf? From the wooden clubs and obstacles to the holes and score charts, everything has been thought of and is great quality. The clubs are perfectly sized for children and won't be easily broken. Some of the obstacles can be quite hard to get over so it may be better suited for slightly older children than me although i still had lots of fun hitting the balls and managed to get it through the tunnel all by myself. Is it too late to enter the Ryder Cup?...Crazy Golf is available from Big Jigs and costs £23.99. You have to lie down and eye the ball in! 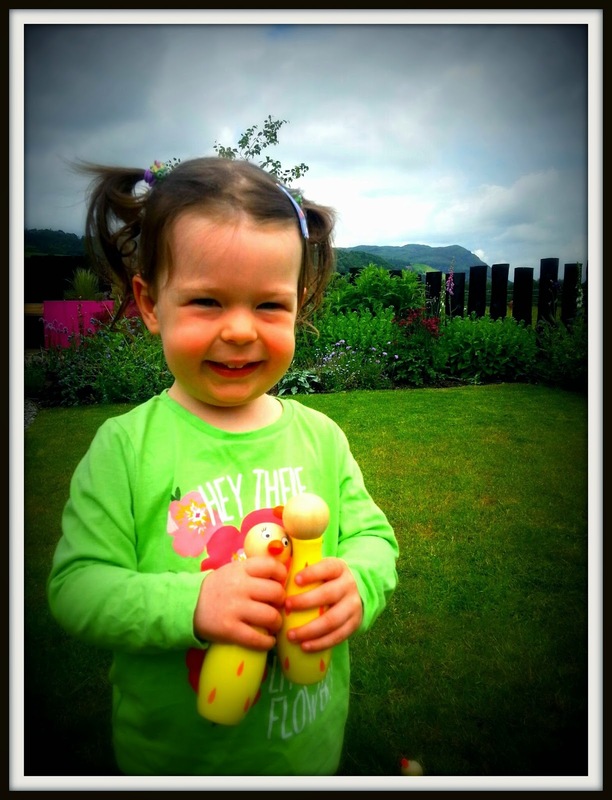 For more ideas of fun things to do this summer check out my 50 things to do in the garden this summer blog or visit Bigjigs website for a wide array of quality toys.